There is no better excuse to ditch the spring-cleaning tools than the possibility of sweeping away your luck. Resist the temptation to pick up a broom on the first day of Chinese New Year, and if you really cannot avoid it, Master Lim Eng Cheong, founder of Chang Consultancy, says to sweep into, rather than out of, the house. If porridge is a breakfast staple in your home, skip it on the first day of Chinese New Year. In the past, only the poor, who could not afford rice, ate porridge, says Way Fengshui Group’s Chief Geomancer and founder, Grand Master Tan Khoon Yong. “The act of consuming porridge during Chinese New Year is believed to bring poverty to your entire family,” he says. 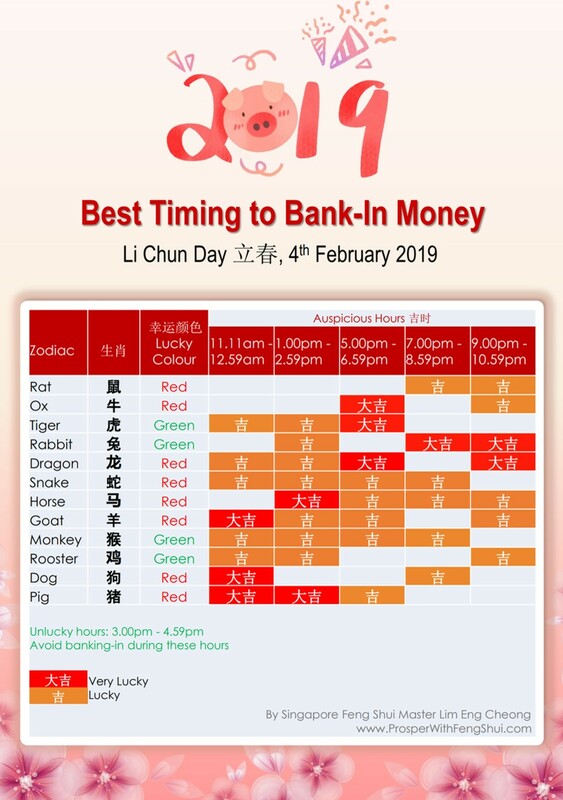 According to Master Lim, if you feel “poor” on the first day of Chinese New Year, it is believed that you will remain poor for the rest of the year. The rules on cutting extend to personal grooming. The New Year is not the time to be trimming your tresses or your nails. Grand Master Tan says that cutting your hair is detrimental to career and wealth-related luck. The Chinese character for “hair” (发) is the same as the word for “prosperity”, he points out. The New Year is a time to exercise care and caution: it is inauspicious to break something on the first day of Chinese New Year. The experts say that should you break something, you should quickly counter misfortune with auspicious phrases like “luo di kai hua” (落地开花) and “hua kai fu gui” (花开富贵), which implore the shattered pieces to bloom like flowers and bring abundance, or “sui sui ping an” (岁岁平安), a wish for peace, year after year.